When debugging an MPLAB® X project you may find it useful to view the variables and PIC® Special Function Registers (SFRs). Global Variables and SFRs have permanent and fixed memory devices. All programs can access these data elements at any time. 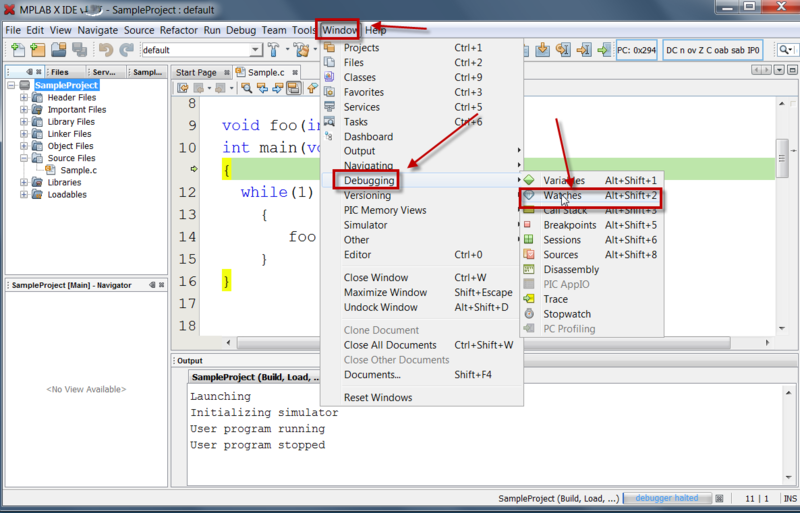 This page shows how to access Global variables and SFRs. At the end of this page is a link to a tutorial demonstrating how to access Watches. 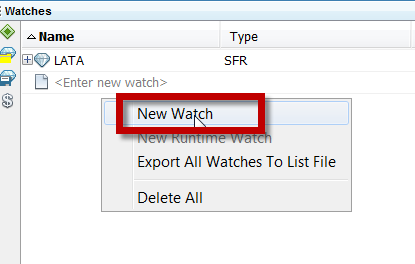 To add an element to the list of items being watched first "Right Click" in the open Watches Window then select "Add New Watch" from the menu. 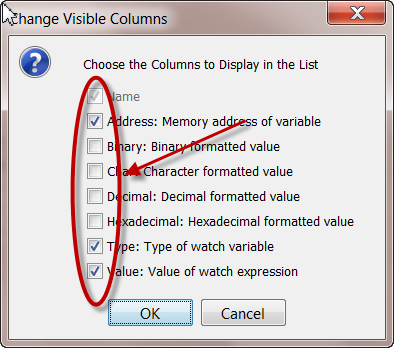 A pop-up menu will display allow you to select either a Global Variable or a Special Function Register to add to the Watch. 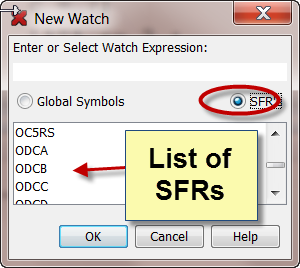 Select the either SFR or Global Symbol. 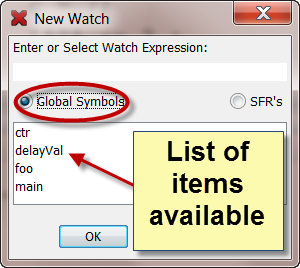 Once Selected the box will fill with a list of all the Global Symbols or SFRs. Select the individual item you wish to add to the Watches Window then select "OK". 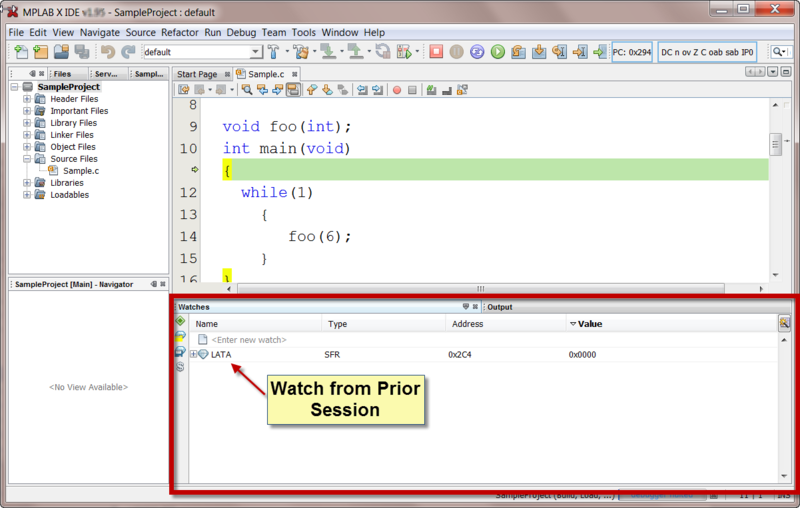 User's have the option to save the current list of item in the Watches Window to a file. 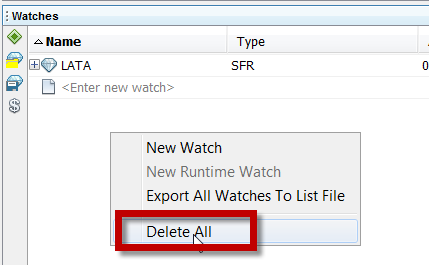 User can also reload the list of watch from a saved file. Two icons on the left hand side of the Watches Window control these functions.